Waters Vacuum Truck Service is proud to be able to offer our services to commercial businesses in the Reno, Sparks, Carson City and surrounding areas. 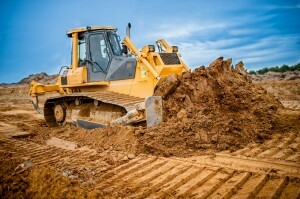 Waters Vacuum Truck Service has a sizable fleet of specialized excavation and equipment vacuum trucks to help us handle even the toughest excavation and removal jobs. We utilize conventional tools, such as backhoes, in order to economically perform tasks related to new installations, relocations and abandonment of septic tanks, leach fields (including ‘Infiltrator Systems’ leach field chambers), Grease Interceptors and Sand/Oil Separators. We can perform ANY conventional excavation you might need such as digging ditches and foundations as well as other basic earthwork. The permit process can be confusing and frustrating for even the most experienced person. We are glad to take these frustrations off of your mind and obtain all necessary permits for projects we are working on with you. We want to be your partner from beginning to end and help your projects run as smoothly as possible. Our vacuum trucks, used in conjunction with high pressure water, can safely excavate locations where circumstances dictate avoiding using conventional excavation tools. Common applications include underwater excavation with low sediment turning as well as safe excavation of utilities. Waters Vacuum Truck Service’s Compressed Air Excavation/Subsurface Utility Engineering (CEA / SUE) is a selective excavation method which fractures, pulverizes and displaces porus and semi-porus soils while leaving nonporous objects unaffected. In other words Compressed Air Excavation removes soil without risk of damaging buried utilities using a unique tool known as a Soil Pick.